There are few “free rides” in effective architectural, engineering and construction marketing. Yet the nomination process for the 2018 Best Construction Blog competition provides an exceptional opportunity for your blog — and business — to receive free publicity and recognition, without doing much more than completing the nomination form. Of course there is work in building and maintaining a great blog — you need to develop your topics, themes, write informative and motivating posts, and ensure the blog has a great graphic design. But, assuming you’ve put the effort into building the blog, you don’t have to work very hard to nominate it for the competition. Just complete the simple nomination form, hit “send” and you are done. There’s no fee to enter the competition and there is no requirement for you to complete a complex presentation to make your case for winning. There are some rewards, however, regardless of whether or not your blog is selected as best. If you wish, you can set out a “get out the vote” campaign to attract popular vote and attention to your blog. This process will increase traffic and recognition for your blog. 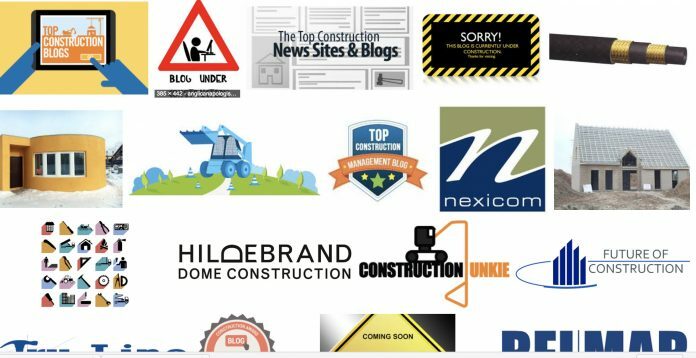 Finally, your blog could be a finalist or the best construction blog for 2018. Nominations continue through January 31, 2018. Then there is a two-month popular voting opportunity, before the finalist blogs are reviewed by a panel of independent judges in April. We’ll announce the winner in early May. Here’s the form to nominate your blog, or any one you like.